Disclaimer: There are a lot of movies I missed in 2016. But that won’t stop me from pretending my opinions are still important! So, take a look at some of my favorites from last year and ignore my lack of qualifications, because Ron’s making me write this. Green Room – This movie was a journey. Maybe not the most re-watchable film, but the first viewing is nothing short of gripping. It’s one of those “bad situation gets worse” thrillers, taking a simple plot and mining it for every bit of excitement you could ask for. Plus plenty you didn’t ask for — it’s not for the faint of heart! Green Room delivers on a terrific movie-watching experience and a great role for Imogen Poots, an actress I like a lot mostly because of her name. Sausage Party – I give a movie a ton of credit if it can surprise me. Not only did Sausage Party throw me an amazing surprise birthday party, it upended my expectations. It gets weird in its 89 minute runtime (weirder than my surprise party joke). But good weird. It’s going to be a while before we see something like it again. Bizarre, unpredictable and deep. That’s right, an R-rated cartoon starring a hot dog voiced by Seth Rogen is deep. Deadpool – Easily the funniest superhero movie since Mystery Men and maybe even Batman (1966). If you, like me, are bored by the Robert Downey Jr. cinematic universe and its paint-by-number approach, then this move is for you. It’s not dark and brooding either, like the DC stuff. I’d bet no superhero movie does more in the departments of: raunch, fourth-wall breaks, or ugly faces under the mask. 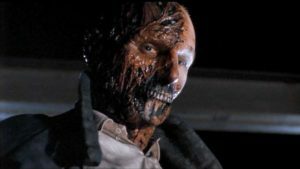 Except maybe Darkman for that last one. Anyway, Ryan Reynolds lobbied tirelessly to get Deadpool made. It may not stick the landing, but I give him props for spicing up a genre that was getting awfully stale. La La Land – Confession: I didn’t buy the soundtrack immediately after walking out of the theater. I wasn’t floored by the dancing Ryan and Emma worked to perfect, either. The abundant charisma of the two leads only carried the film so far, but there were moments. All a movie needs is a moment — a moment where that analytical voice in your head disappears and you’re just left watching… La La Land has at least one. Oh god! I went past page 2! Oh no… Why?! The Nice Guys – This film never got talked about much and I’m not sure why. It’s not Shane Black’s best work *cough* Last Action Hero *cough* but Crowe and Reynolds have a great rapport as P.I. partners who reluctantly team together. What it really has going for it is a sharp sense of humor playing on genre tropes non-stop. You probably knew that already since it’s a Shane Black film. Not without its faults, I still think it’s a very solid under-the-radar offering from 2016. Your Name – I LOVE this movie. Technically, it was only released here in the U.S. in 2017, but I don’t care! No one’s reading this blog post anyway. Besides Ron… And maybe Ethan. Hi, Ethan! Go see Your Name, Ethan. We here at Our Friends Said strive to be timely in our film coverage. Which is why much of the podcast is dedicated to David’s love of Ernst Lubitsch films from the 40s. It’s also why I waited until April to write up my favorite films of the previous year. There’s probably not a lot I can say about this film that hasn’t been said (more eloquently) already. Barry Jenkins crafted a deeply moving, beautiful film with a wholly unique identity. Some of the best performances of the year, incredible cinematography, and deft storytelling combine to create a film that I think will prove to be one of the better remembered Best Picture winners. If you’ve heard about Manchester by the Sea, think you know what to expect, and suspect that you’ll probably like it – it’s probably what you’re expecting and you’ll probably like it. Genuinely touching throughout, the film proved to be an emotionally devastating look at loss that stuck with me for a while afterwards, but ultimately failed to measure up to Moonlight. Yeah, I didn’t expect this movie to make the list either. But somehow Hacksaw Ridge avoided veering into the territory of sickly sweet clichés (the trailers at times made it seem like the film would consist solely of Andrew Garfield shaking his head and drawling, “I just can’t do what you ask of me” over and over again) and instead became my favorite underappreciated World War II movie since Fury. And call me crazy, but thanks to his performance in this film I’m willing to forgive Vince Vaughan for True Detective: Season 2. 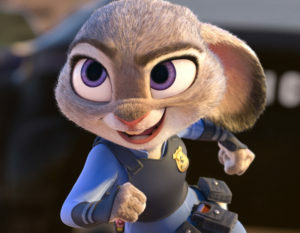 Disney Animation continues to make better movies than Pixar. 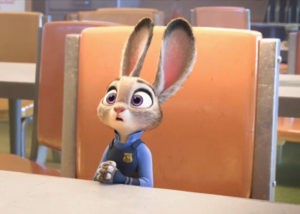 Point #1: Zootopia is the most adorable film about -isms you will ever see. It teaches important lessons about race and xenophobia without being bogged down by its message or feeling preachy. And it was funny while doing it. 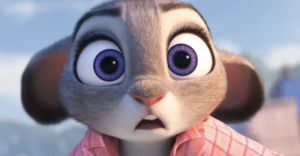 Very important unnumbered point: Don’t go past, like, Page 2 in the Google Image results for “cute bunny Zootopia.” If there is one thing you take away from this blog post, let it be this. I had Hell or High Water penciled in for this spot and made a last minute substitution. I have a love/hate relationship with La La Land for the same reasons I do the city that it’s a love letter to: At the end of the day it was a little more shallow than I would have liked, the music wasn’t as memorable as I had hoped, and Whiplash was ten times the film that this will ever be (alright, maybe not exactly the same reasons). But damn it if that opening number didn’t make me grin like an idiot. The “I BET YOU DIDN’T SEE THIS” award goes to Eddie the Eagle. It’s a tale about a wannabe Olympic ski jumper that makes up for his … extreme lack of athleticism (it scores points for relatability)… with massive amounts of determination, grit, and what must be a supernaturally thick skull. Its greatest moments will make you want to stand up and cheer. And the “MOST BANG FOR YOUR BUCK” award goes to Suicide Squad. It is a terrible film. And it’s not even broken in an interesting way. Heck, I spent the entirety of my time with it wishing for it to end. But what it lacks in being a good movie, it makes up for in making me want to talk about it every second of every goddamn day. If you were to add up all the time I spent talking about it with friends, bashing it on a certain podcast, or laughing way too hard at the shade The Lego Batman Movie slung its way – you’d probably end up with a better dollar to minute ratio than any other piece of entertainment from last year. Billy Wilder’s tragicomic tale about a guy (Jack Lemmon) whose executive aspirations force him to loan out his tiny apartment to his many bosses. It’s the perfect love nest for them to conduct their extramarital affairs, and a promotion is promised in return, but things get messy when he discovers his office crush (Shirley MacLaine) happens to be one of those affairs. Believe it or not, that’s just the tip of the iceberg. Around the 51 minute mark, Lemmon’s character, C.C. Baxter, lets his boss know “The tom and jerry mix is in the refrigerator,” as he gets the place ready for the impending tryst. The Tom and Jerry is a holiday drink that nearly went extinct, but was once supremely popular. Nearly every house had its own Tom and Jerry set (cups and bowl) to serve the toasty beverage that puts eggnog to shame — at least in the author’s opinion. The labor intensive recipe, however, likely had something to do with the Tom and Jerry’s decline. The name predates the classic cartoon characters and probably relates, instead, to characters in a very old play by Pierce Egan. More important is how it’s made, so you can taste it for yourself. Separate the egg whites from the yolks. Add all your ingredients (but hold off on the brandy) to the yolks and mix it all together well. Beat the egg whites and cream of tartar separately until they’re stiff, then mix the yolks and egg whites together to form the batter. For the best results, combine just half the egg whites at a time. Finally, pour one or two ladles of batter into a mug with warm milk or hot water and top with 1 ounce brandy. Garnish with nutmeg and enjoy this lighter alternative to eggnog as you sit back and watch one of the all-time great romance movies. * Best suited for consumption/viewing around Christmas or New Year’s. … Underlining, highlighting, and putting exclamation points on every instance doesn’t read as very sincere. Are any of these people the least bit interesting other than John C. Reilly? I think I already forgot most of it. John C. Reilly. He steals the show from the title character and adds some much-needed heart. The backstory. Brief and just interesting enough. Didn’t overwhelm everything else, either. Didn’t take itself too seriously. I did end up caring about Kong. …that only half-works because plot. She had to talk and it had to be exposition. More boring villains with none (or dumb) motivation. Wolverine clone that shows up too early. Run away, get caught, escape. Run away, get caught, escape. Reminds me of a Jack Torrance novel. Dafne Keen — the actress playing Laura. The first hour or so before she talks. Casting Richard Grant from Withnail and I. That moment with the cross. Logan dying from adamantium poisoning. The closest I came to meeting Robert Osborne was when I sat within a hundred feet from him as he regaled the crowd before a screening at the TCM Film Festival one year. That’s how I knew the man. The owner of the soothing voice that related so many backstage stories priming you for a first-rate film. Actually, not all of the films were first-rate but his stories made them feel that way. He had a knack for sharing anecdotes that were at once informative and amusing. Like the one about John Wayne’s allergic reaction to makeup on the set of The Quiet Man. The Duke wearing makeup… and suffering for it! You have to laugh at the thought. Except the point of the story was really the budget constraints director John Ford and company were working within. In order to shoot on location in Ireland, sacrifices were made. Wayne sharing O’Hara’s makeup artist, who wasn’t familiar with his skin allergies, was just one of them. Only that’s still not the point. The point is how much care went into making the film — a labor of love for the people involved. And Osborne always knew it. He knew how much hard work and passion went into producing the movies he introduced and he made sure the audience knew it too. A man as timeless as the films he spoke of. He made the movies better. Official twitter for "Our Friends Said They'd Listen" podcast. Unofficial twitter for every other podcast. Hosted by @artofwot & @theotherdarrin. Happy #GroundhogDay2018 - try not to get stuck in any time loops! "One of the cheeriest movies of all time" said someone for purposes of this tweet after I gave them five dollars. Also might be the best Mike Nichols directorial debut! Last few wks have been a whirlwind. Considered 4 WH Chief of Staff, passed over & now we’re back! Join our mailing list! We won't spam you. We probably won't even use it!